When I say the word “bungee” do you think “jump” or “cord”? I feel like the way you answer that questions shows where your mindset is. My first thought is “jump” because I’ve always wanted to go bungee jumping, but obviously that’s not the case for everyone and even more obviously it’s WAY off topic for the tip of the week. And since I can ramble and go on a tangent at the drop of a hat when I start writing, let’s nip it in the bud right now. Getting back to the point in 3… 2… 1. 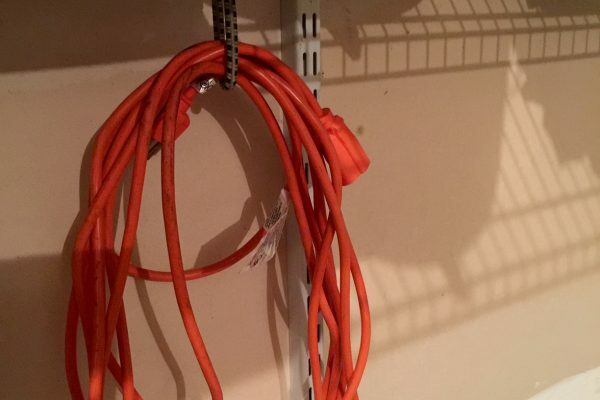 Whether you thought “jump” or “cord” or something else, I need everyone reading this to turn their minds to “bungee cords” because they are the inspiration for the tip you get today. 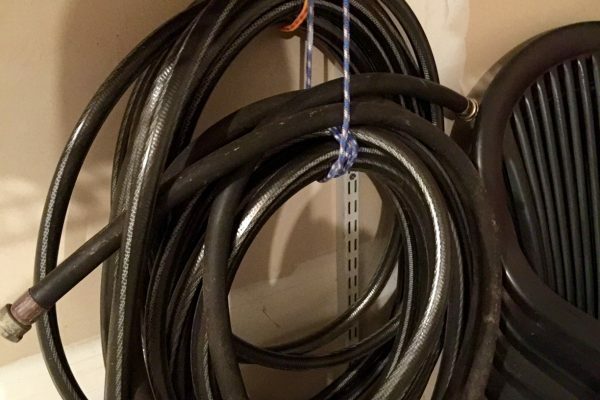 Now, you don’t HAVE to have a bungee cord to organize your extension cords and hoses, but what makes the bungee cord great is you can wrap it around the item a couple of times to keep it from spilling all over the place which ALWAYS happens (*ahem dad and mom). How great is this tip?! Personally, I love it and think it’s a great idea (thanks Connie!) and hopefully you (specifically you mom and dad) do too. Wouldn’t it be nice… to have a linen closet?